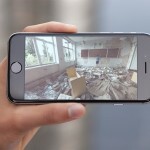 When it comes to finding the greatest deals on the latest electronics, video games, household appliances, and home theater, Best Buy has it all. And with an update yesterday, Nov. 5, the popular store has put your shopping cart right on your iPad. 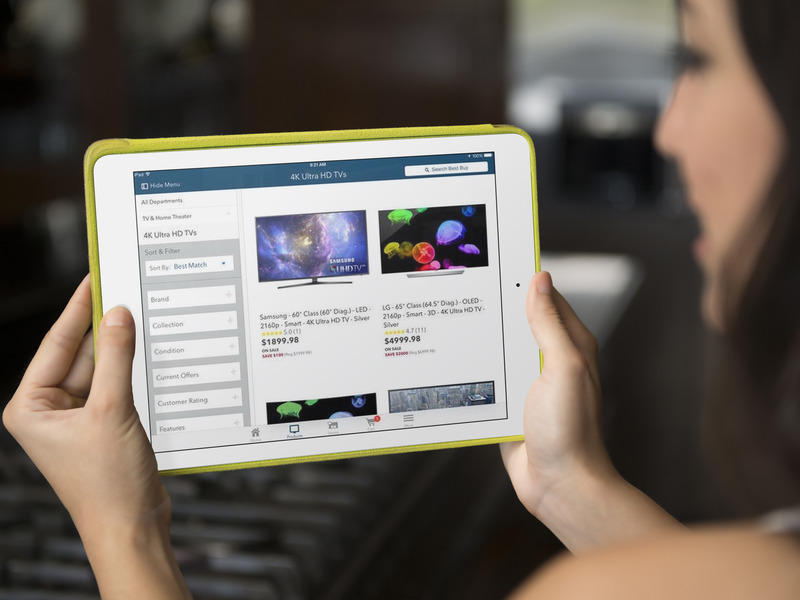 The app has been designed specifically for your tablet with easy shopping in mind. You can quickly check out the Hottest Deals, Gift Ideas, Weekly Ad, and Student Deals right from the home page. You can also manage your Wish Lists and Wedding Registry, locate a store, and chat with customer service when you need help. The deal section mentioned also appears on the iPhone app, making it simple to find the best product prices for your hard earned cash. 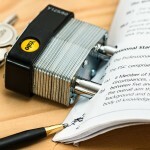 The Best Buy Outlet section is a great place to start too as it provides clearance, open-box, refurbished, and pre-owned items. The app also received performance enhancements and some nasty bugs were squashed. 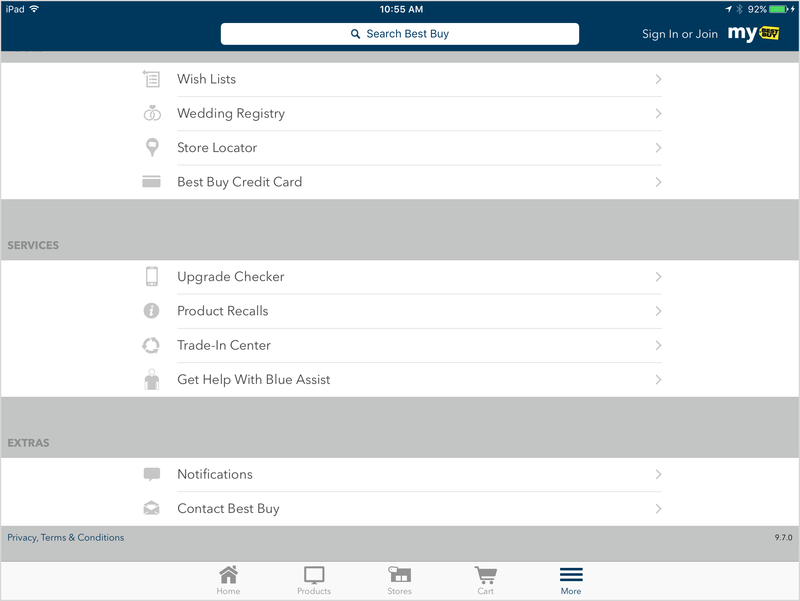 Best Buy on the iPad looks good, has a smooth interface, and is easy to navigate. Everything is pretty responsive and fast with nice visuals and helpful details. 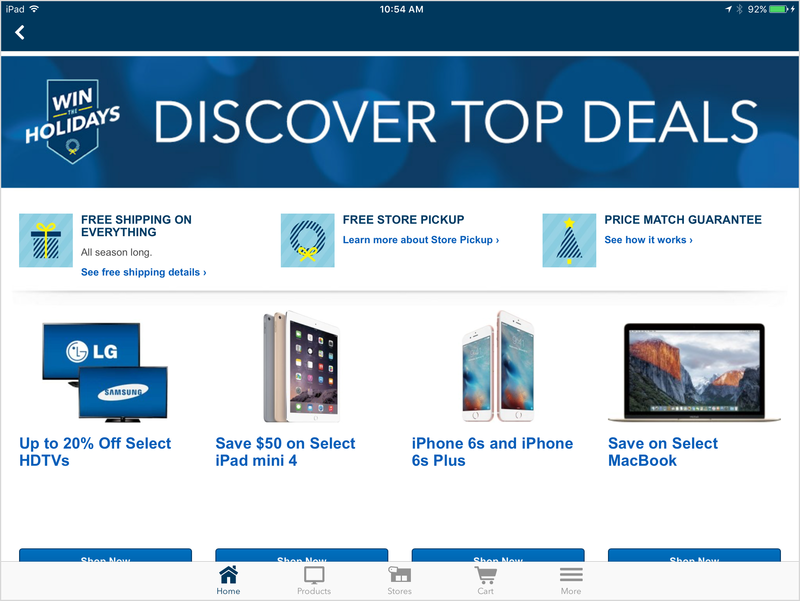 So, if you are a Best Buy customer and are ready to start your holiday shopping, check out the app on your iPad. 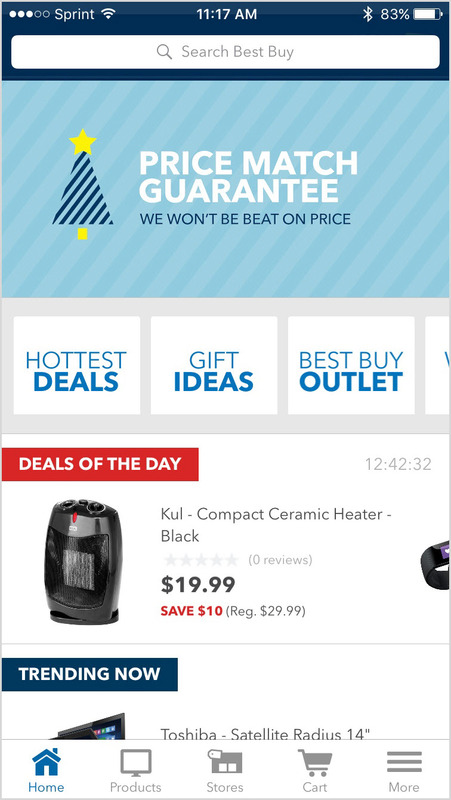 Best Buy is designed for both iPhone and iPad and is available for free with a few ads on the App Store. In other news, check out The Apple TV’s Siri Remote takes center stage in Echo from ArcTouch or Meet Luma, a new device to better control your home Wi-Fi network.